Russia's hybrid military forces attacked Ukrainian army positions in Donbas 29 times in the past 24 hours with two Ukrainian soldiers reported as wounded in action (WIA), according to the press service of the Anti-Terrorist Operation (ATO) Headquarters. 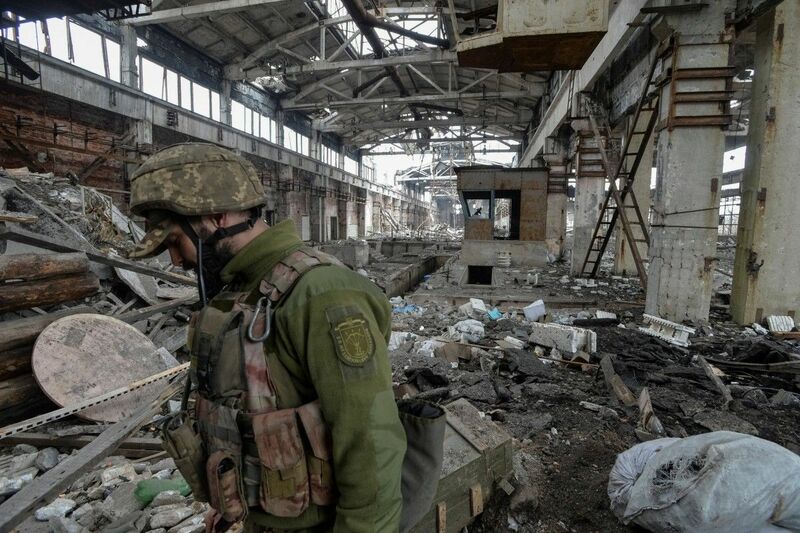 The enemy was most active near the Ukrainian-held strategic port city of Mariupol. In particular, 82mm mortars, grenade launchers of various systems and heavy machine guns were used to attack the Ukrainian positions near the town of Krasnohorivka. The Ukrainian fortified positions near the villages of Pavlopil and Vodiane came under fire from grenade launchers and heavy machine guns. The militants also fired grenade launchers and small arms on the defenders of the town of Maryinka. Moreover, enemy snipers were active near Krasnohorivka, and the villages of Novotroyitske and Vodiane. Read alsoEscalation in Donbas: 54 attacks on Ukraine, 5 WIA's in last dayIn the Donetsk sector, the largest number of violations was recorded near the town of Avdiyivka whose defenders were repeatedly attacked with 82mm mortars, grenade launchers of various systems and heavy machine guns. The Russian occupation forces also used machine guns and small arms against the defenders of the villages of Zaitseve and Pisky, which were also under sniper fire. In the Luhansk sector, the militants used proscribed 120mm mortars to shell the Ukrainian positions near the village of Syze and anti-tank grenade launchers to attack the defenders of the village of Novo-Oleksandrivka. Despite armed provocations, the Ukrainian army strictly observed the ceasefire and did not fire back.